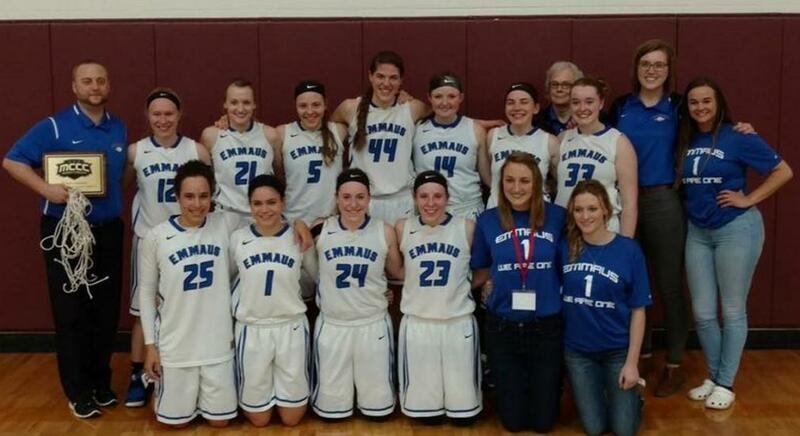 For the second straigh season the Emmaus Bible College Eagles captured the Conference Tournament Championship. Emmaus entered the tournament as the top seed after going undefeated in conference play. In their opening game the Eagles defeated Ozark Christian College, 71-28. Madison Laib led the way for Emmaus scoring 18 points and Rachel West came off the bench to add 12 points. In semi-final action Emmaus defeated Calvary University, 57-22. Laib again led the way with 14 points while Melissa Kerttula and Kaila Shock each added 11 points to help Emmaus advance to the Conference Championship game. In the championship game Emmaus squared off against Central Christian College of the Bible for the third time. Emmaus had won the previous two meetings and again they came out victorius with a 99-67. The Eagles got off to a strong start in the opening quarter as they held a 29-19 lead at the end of the first period. In the second quarter Emmaus was on fire as they scored 37 points in the quarter while holding the Saints to only 10 points to hold a 66-29 halftime advantage. From there the Eagles would cruise to the Tournament Championship. For the third straight game Laib led Emmaus with 29 points, Shocked added 22 points and West chipped in with 22 points.